Austin American Statesman: Food Matters: New cookbook explores foodways of Big Bend by Addie Broyles. 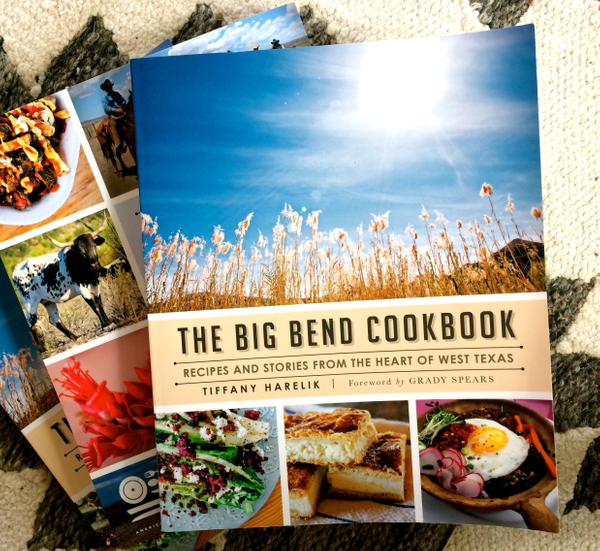 "As with most books about food culture, “Big Bend Cookbook: Recipes and Stories from the Heart of West Texas” (The History Press, $24.99) is as much about the people who are carrying on the food traditions as the traditions themselves. We learn about how the couple behind Fat Lyle’s food truck in Marfa make it through the slow winter season and what it’s like running a historic hotel in Alpine. Harelik compiles both the recipes and the stories in a way that will make your fingers itch to grab that steering wheel and head west..."
Houston Chronicle: Falling under the spell of the Big Bend atmosphere by Joe Holley: "Tiffany Harelik (rhymes with garlic) wakes up every morning in a rented house on the outskirts of Marathon to a view of the Glass Mountains, an ancient reef structure that formed 200 million years ago. The 33-year-old UT-Austin grad describes herself as a country girl even though she's a fourth-generation Austinite..."
"The book is also very practical. Harelik has included sections about what to do in the Big Bend area, foraging for native and wild ingredients in the region, camping and hiking, and wildlife and hunting. 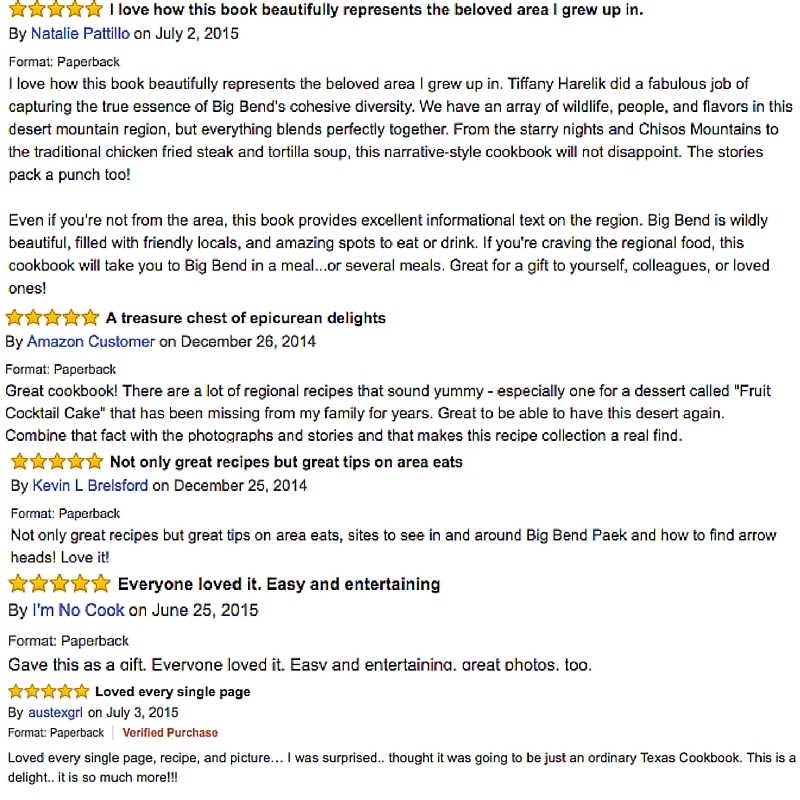 I really enjoyed and appreciated the tips about where to eat, must-see sights, and popular activities the author included in each chapter focused on the different communities in the region..."
See more customer reviews here.